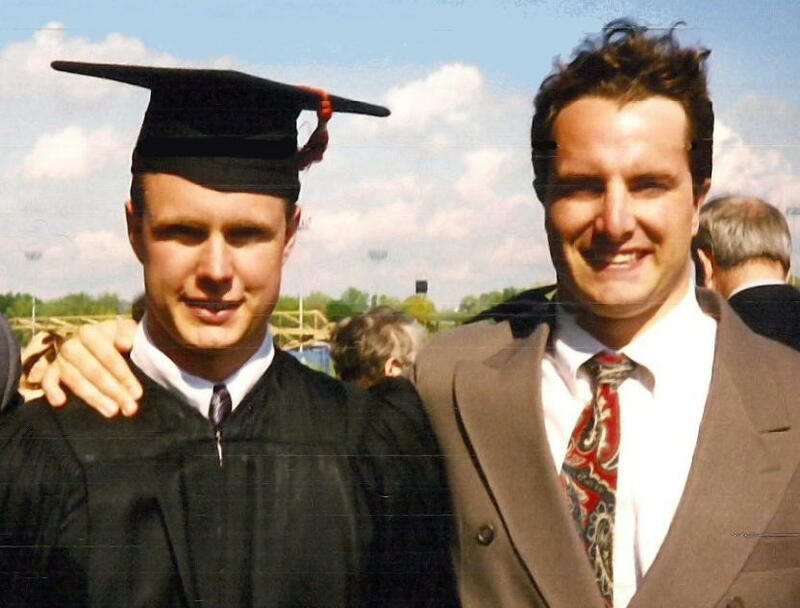 John Connor (right) with his younger brother, Matt Connor, upon Matt's graduation from Notre Dame. As he got ready to pitch his legislation to the House education committee, State Rep. John Connor held up a snapshot. That mole turned out to be malignant melanoma, and Connor's brother died within three years. Now the Democrat from suburban Chicago is trying to make sure school kids have permission to apply sunscreen without having to bring a doctor's note. Schools typically require parents to get a form signed by a physician in order for students to use over-the-counter medicines. Connor’s bill would allow students to use FDA-approved sunscreen without having a note. He ended his presentation by telling the committee: "I can say unequivocally, from my own personal experience, that sunscreen can be a life or death matter and I would urge the committee for an aye vote." The measure would also allow kids to wear hats. The committee approved the bill unanimously and now moves to the Illinois House floor.